Custom Air Products & Services, Inc. is a full service company specializing in the design, execution, installation,modification and servicing of industrial and commercial air conditioning equipment. Custom Air Products was founded in 1996 with only a handful of employees. Today Custom Air Products & Services employs over 260 highly skilled individuals dedicated to supporting the needs of our customers with quality products and services. CAPS was awarded over the last three years the Houston Chronicle “Employer of the Year” award. CAPS believe in the GREAT United States of America. 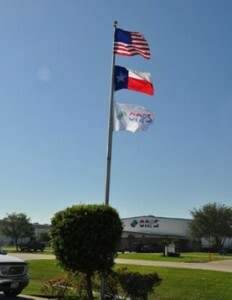 With facilities only in TEXAS means all of our equipment is manufactured in the USA. CAPS products and services are provided to customers around the world. 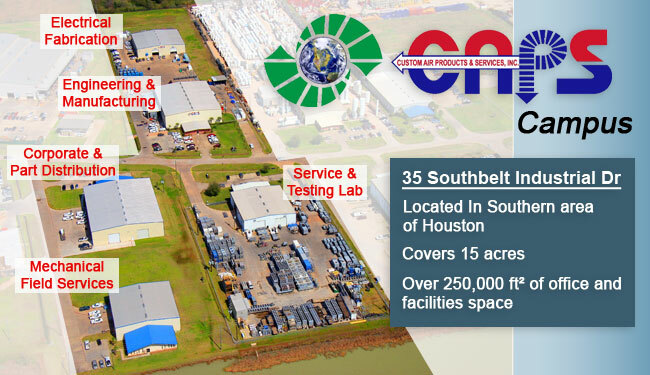 Custom Air Products & Services currently occupies five modern facilities, totaling 250,000 sq. ft. in size. These buildings include administrative and engineering offices, training facilities, filter warehouse in addition to service shops for fabrication, testing, electrical, manufacturing, and modifications. Together these facilities give us the ability to support the needs of our commercial, retail, petrochemical and industrial customers quickly and efficiently.